This is just a simple circuit using a keypad (http://www.sparkfun.com/commerce/product_info.php?products_id=8653) from SparkFun. 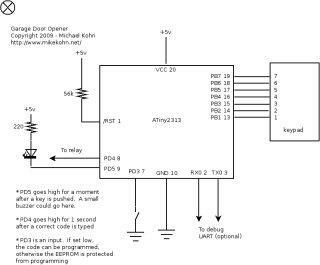 Basically this circuit and firmware allows the user to type a 4 digit number and press * to save it into the eeprom of an Atmel ATtiny2313 (only if the program pin (PD3) is held low). 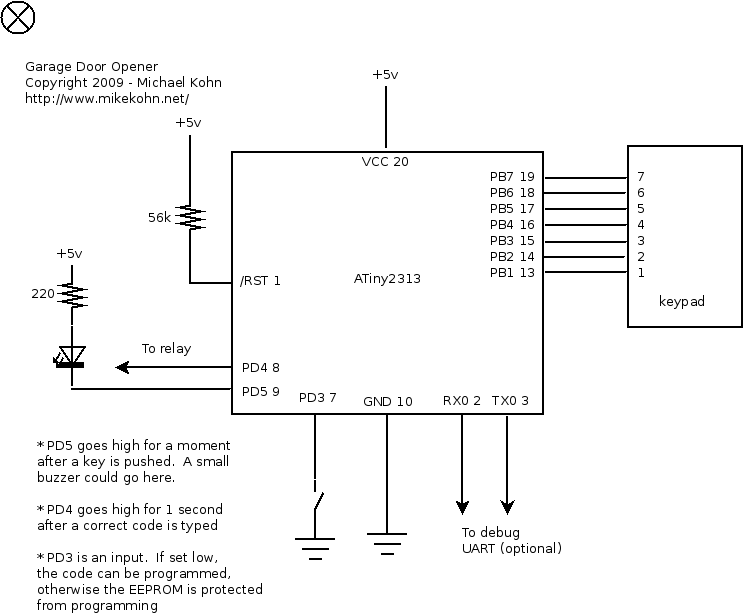 Then if the user types the code and presses the # key, the PD4 pin will go high for 1 second so that it could be hooked up to a relay of a garage door opener system. 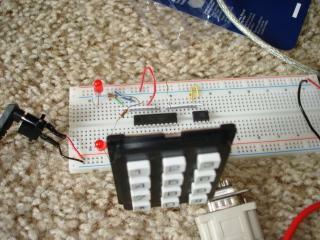 Here is my test circuit.